Engineers, scientists, technical managers and other professionals looking to move into mid- and senior-level management positions in high-tech industries can attain the needed product development and leadership skills through programs offered at RIT. 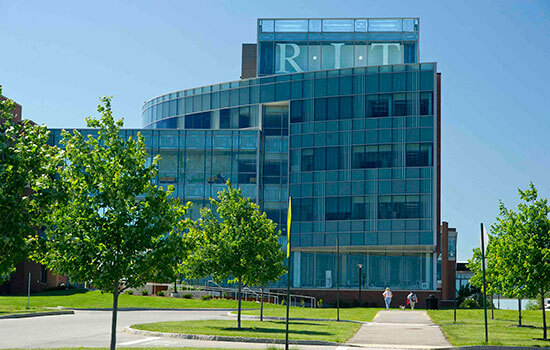 Engineers, scientists, technical managers and other professionals looking to move into mid- and senior-level management positions in high-tech industries can attain the needed product development and leadership skills through programs offered at Rochester Institute of Technology. RIT is hosting a webinar, “Engineering Leadership Programs at RIT,” from noon to 1 p.m. on Tuesday, Feb. 13, for professionals looking to advance leadership skills in the areas of product development, manufacturing, systems engineering, supply chain management and project management. RIT offers part-time graduate degree programs and professional certificates offered through RIT’s Kate Gleason College of Engineering. Programs are fully online, and students can enroll in one or two courses each semester to customize their pace of learning. This past December, RIT was recognized for its online master’s degree programming, and the product development degree is one of the programs included in the broad range of offerings.